*Excluding FR styles. While limited supplies last! 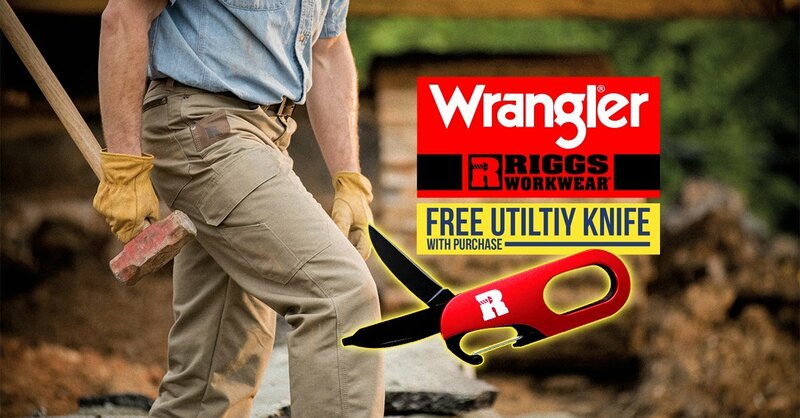 Now is the time to stock up on affordable, durable & comfortable Wrangler RIGGS WORKWEAR and get a bonus utility knife.